VANCOUVER — The Port of Vancouver’s vision of moving the existing Terminal 1 building to the west a bit, and creating the Vancouver Public Market cleared a major hurdle this week, thanks to members of the Vancouver City Council. The Port’s vision for the space includes a tear down of the existing Terminal 1 building, which currently houses the restaurant Warehouse ‘23. They would then replace the existing docks, as well as many of the pilings underneath, which are beginning to deteriorate. 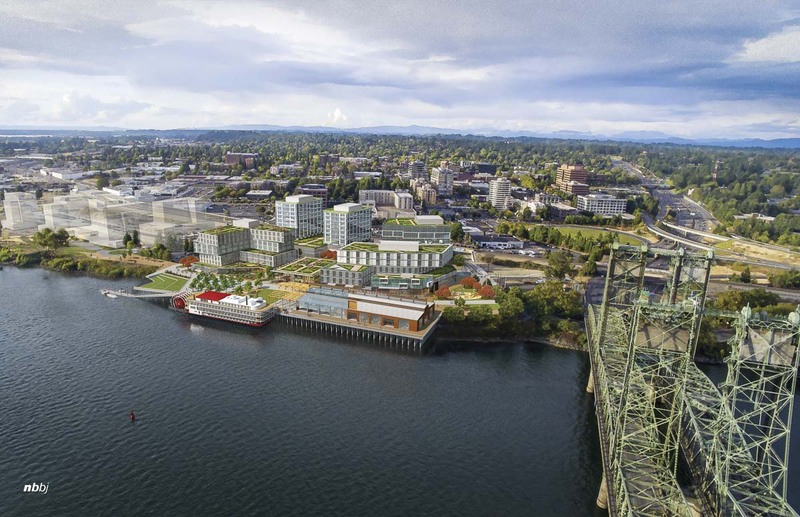 The public market and new dock would be built slightly downstream from the existing one, to make way for a future Interstate Bridge replacement. While finding the $45-60 million dollars that project is expected to cost may be the biggest hurdle for the Port, there was also the little matter of state and city rules that would have prohibited the building. Under Washington State’s Shore Management Plan (SMP), no commercial or residential buildings are permitted over a body of water, unless the business relies on water access. That means the new Terminal 1 Public Market couldn’t be built under existing code. City staff worked closely with the state’s Department of Ecology to craft language that would be specific to the stretch of river from the Interstate Bridge to the BNSF railroad crossing across the Columbia River. That’s the section where Vancouver’s City Center Visioning project, including the $1.5 billion Waterfront Development project is happening. While the Port’s part of that is separate, the city sees it as a key component to completing the eventual reshaping of downtown Vancouver’s waterfront to a tourist destination and cultural center. 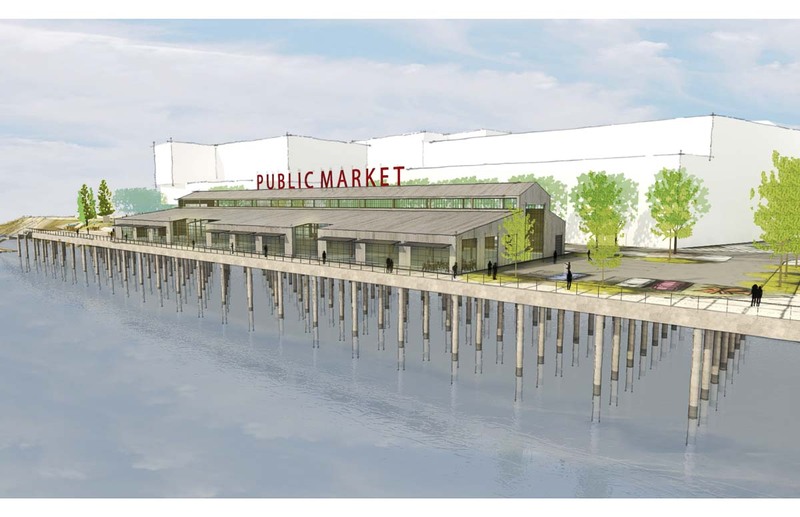 The Public Market is considered to be a key component of the new waterfront’s east end. While the vote to adopt the code changes was unanimous and, apparently, without public opposition, Council Member Bill Turlay said he thinks the state is missing out on an opportunity with its shoreline rules. He also had a few choice words for the Department of Ecology. The historical significance of the Terminal 1 building, its importance to the new Vancouver waterfront, and the fact that it existed prior to adoption of the state’s ban on over-water businesses or residences, played into the ability to get the rules change adopted. The Port is planning to introduce their final concept for the Public Market development sometime in August.